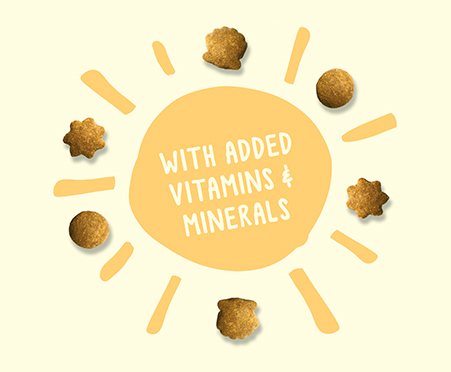 Delight your feline friend with Purina Friskies Party Mix Natural Yums With Real Chicken With Added Vitamins & Minerals adult cat treats when she has a hankering for meaty goodness. 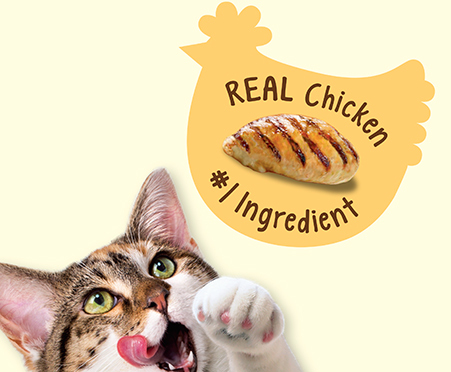 Real chicken is the first ingredient, catering to her cravings for meat. Show your cat some love when you serve up Purina Friskies Party Mix Natural Yums With Real Chicken With Added Vitamins & Minerals adult cat treats. Providing the 100% complete and balanced nutrition your adult cat deserves, these purr-worthy crunchy treats also help to keep her teeth clean. With unique shapes and a mouthwatering aroma, these crunchy treats let her know she's in for an unforgettable flavor experience from the first whiff. 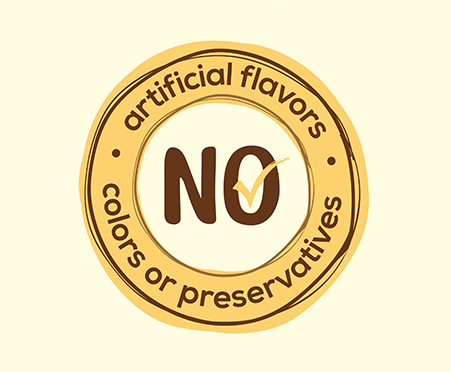 You can feel confident that you're making a smart choice for your cat's snack time when you toss her one of these yummy treats made with real, delicious ingredients and without artificial colors, flavors or preservatives. 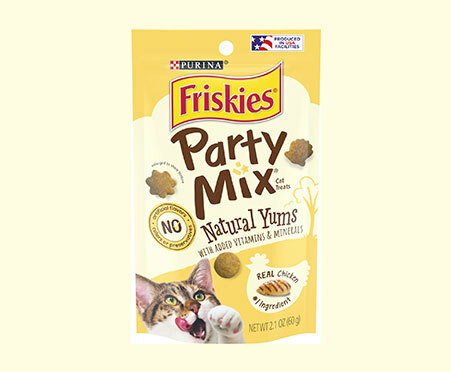 Since Purina Friskies Party Mix Natural Yums With Added Vitamins & Minerals adult cat treats come in a variety of delicious flavors, you can ensure she never gets bored.